Google is running a new promotion that makes the company's already affordable Chromecast even more accessible. From now through January 2, anyone that purchases a Chromecast will receive a $20 Google Play credit that can be used for movies, TV shows or whatever else your heart desires. The savings don't stop there, however, as Google has also dropped the price of both its regular Chromecast and Chromecast Audio by $5, bringing the total down to just $30 each. And if you purchase two devices (you can mix and match however you want), you'll pay just $55 and receive free shipping as well as the aforementioned $20 Google Play credit. The instant discounts are good through December 26 while the credit promotion runs through January 2, 2016. Both offers can be had through the Google Store or by purchasing at retail stores like Best Buy. In the fine print, Google says the $20 credit must be added to a Google Payments account by January 31, 2016 and used before January 31, 2017. There's a limit of one credit per Google Payment account. Google announced its second generation Chromecast and the all-new Chromecast Audio back in September. 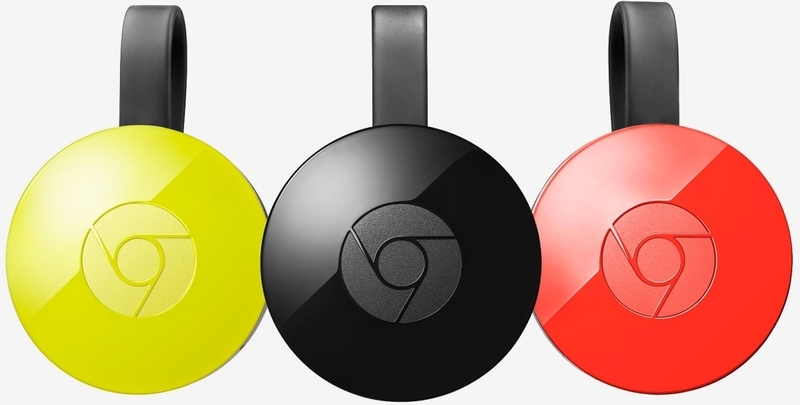 The new Chromecast has been completely redesigned and supports 802.11ac, 5GHz Wi-Fi and has three total internal antennas - up from just one on the original device. Chromecast Audio, meanwhile, allows users to wirelessly stream tunes from their mobile device to a dedicated sound system. If you're looking for stocking stuffers for the techie in your life, this deal may be hard to pass on.